Coming up with new ideas in a well established company can be tough – especially with everyone in the team living up to their specific role. Over the years the way a brand is experienced is clearly defined and established in everyones minds, taking its toll on creativity and innovation. So how do you bring your team to overcome their own mindset and practice forward-thinking? Back in April, the Original Actions Sports brand Vans off the Wall just showed the world how. 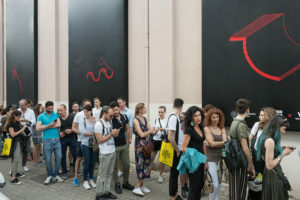 In collaboration with the Design School of Politecnico di Milano, they launched the event Spring off the Wall at the biggest design program of the world, the Milano Design Week. 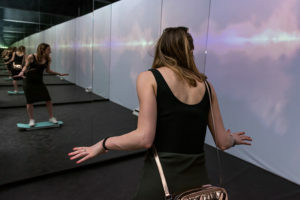 An event which let people experience Vans off the Wall in an exciting, interactive way. 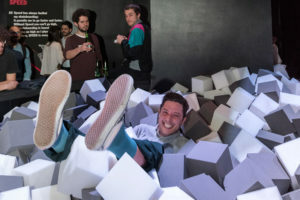 Under the motto of Speed, Balance and Vertigo, visitors of the Milano Design Week could live the sensations of skateboarding by jumping into a foam pit, surfing through clouds like a Silver Surfer or walk on huge unstable foam waffle soles. What you’d expect to be the creation of a great event management / brand marketing team, was actually an idea born in a completely unorthodox way. 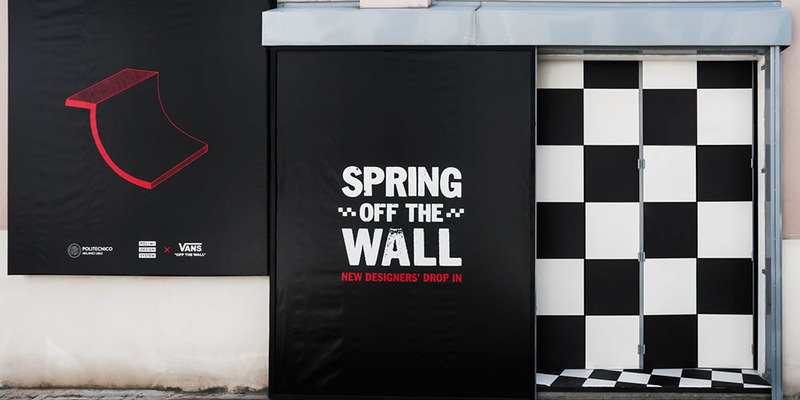 Dirk Jacobs, Creative Director Vans EMEA, allowed us to take a peak in the concept behind Spring off the Wall and his way of engineering creative thinking. At the same time, the decision was made to open up Spring of the Wall to design week. Bringing the project to another level, the collaboration was turned into a mentoring program for the students. 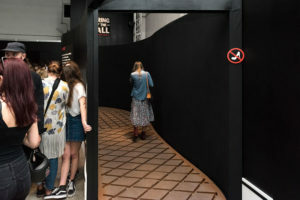 Vans rented out a space for designers coaching and encouraging the project teams on expressing themselves in a professional matter. The group was divided into teams that each were composed of students from different design disciplines: Fashion, Communication, Architecture, graphic design, etc. What came out of it, was the creation of possible spaces for the design week that were a physical expression of the brand. Giving them space, time and freedom to express themselves, with the necessary guiding through industry professionals, the students came up with ideas far away from the regular communication of Vans. Instead of focusing on a stiff presentation, the students laid their focus on creating a space of participation, letting people experience the brand with all of their senses. The students of the Design School of Milano dared to address a topic close to the brand, but far away from their regular communication. 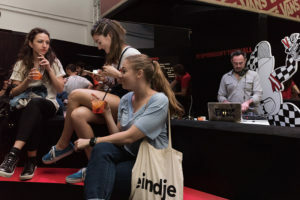 Even though Vans is originally associated with skateboarding, their main audience is situated in the lifestyle section: “Vans is a nostalgic brand, and everyone has their own personal Vans story or Vans memory, like the pair you wore when you gave your first girlfriend a kiss”. The innovative concept showed a great approach to being authentic and back to the roots of Vans while at the same time being forward-thinking and very unusual for the brand. Something that was taken in positively by both the audience and the company itself.